Stop me if you’ve heard this one before: A social worker and an engineer were trying to have a conversation…. ….and it was really frustrating. While the pole building was being constructed, either Paul or I were home in case there were any questions/problems. On a day that I was home, the builders put in the insulation in the ceiling of the building. Paul (The Engineer): How did they get into the ceiling? Me (The Social Worker): They cut a 3 foot by 3 foot hole in the ceiling just inside the door, put a ladder up, climbed up and blew it in from there. Paul: Hmmmm. I hope the hole won’t be in the way of where the garage door opener will go. Me: What are you talking about? They put it just inside the door. Me: The door door. There is only one door. Am I right? That huge opening where the garage door will someday go, is not a door. It is a doorway but not a door. I think what I said was terribly clear. 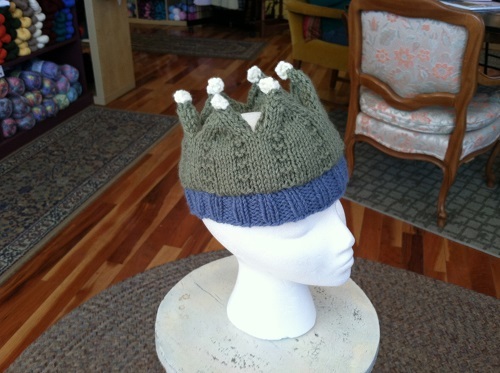 Posted in Uncategorized and tagged loved knitted crown, pole building on October 12, 2013 by lizytish. 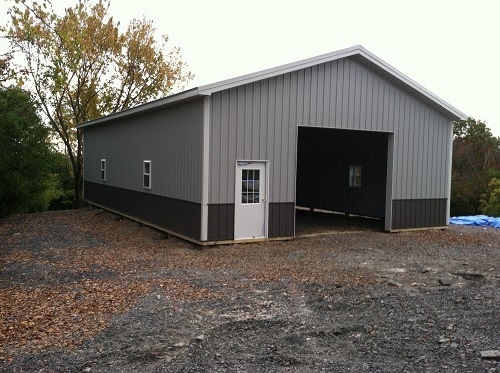 Barn looks great! 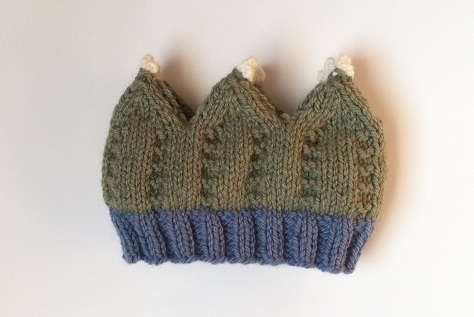 The crown is the cutest – what a nice gift! Oh I could totally see that conversation happening between me and John. I’m with you — it’s a doorway. Can’t wait to see the garage in person and those hats on the doodlebugs. Oh I could totally see that conversation happening with John. I’m with you — it’s a doorway. Can’t wait to see the garage in person and those hats on the doodlebugs. Thanks for the verification Anita. The consensus is with me, but so far all the votes have been from women!